The group began by accident in 2015 when Kathleen Watts asked two friends from the Esk Community Choir to help her put on an RSL performance on Remembrance Day. Their first program featured songs from the war years such as ‘We’ll Meet Again’ and ‘Lilli Marlene’, along with a collection of Andrew Sisters tunes. 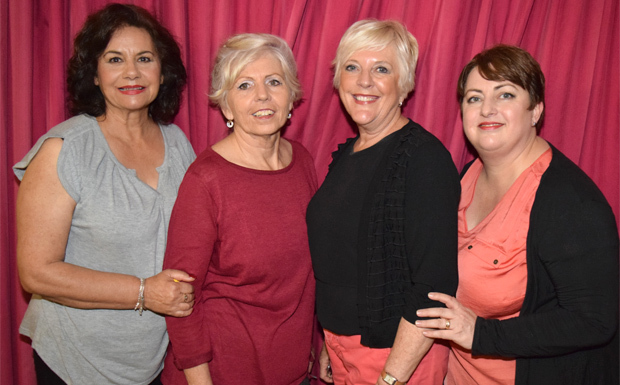 Since then, the Sweethearts have expanded to four members (Sue Walker, Maree Lansdown, Carolyn King and Kathleen Watts) and have performed at many venues, including the celebrations for the reopening of the Blackbutt Memorial Hall in October 2017 where they received a standing ovation. Their concert in Kumbia will be held on Sunday, November 18, and organisers say audiences are in for a treat. 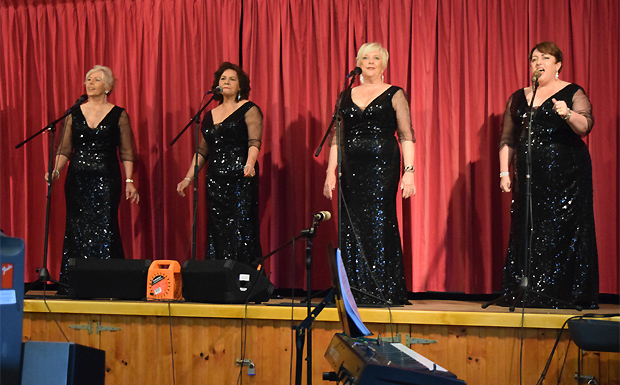 “Our repertoire has grown and changed to include songs from the 50s, 60s and 70s and particularly focuses on girl groups such as the Supremes, Shirelles, Chordettes and – more recently – ABBA,” Kathleen said. Tickets to the concert – which is a joint fundraiser for the Kumbia Catholic Church Centenary Fund and the group – are $15 per head including afternoon tea, and will be available at the door. The afternoon, which will get under way at 1:30pm, will also feature a Bring & Buy stall, a silent auction of a table of interesting treats, and a grand raffle with a Sunshine Coast holiday at Raffles Resort in Mooloolaba as first prize.